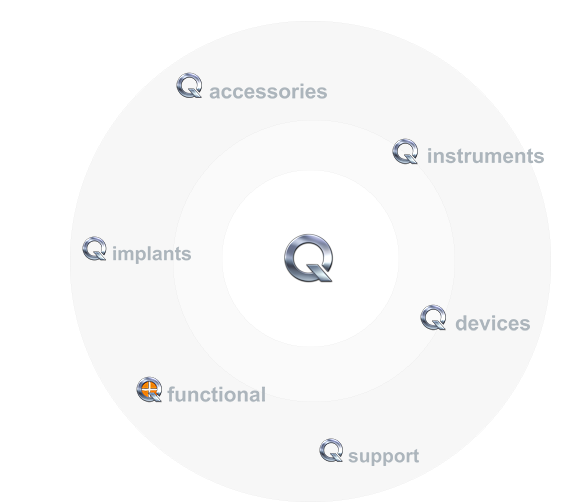 as an independent, owner-managed manufacturer of medical devices in Germany, 1stQ stands for highest quality and functionality for the procedure of refractive lens exchange. Day in, day out, experts with decades of experience are working at 1stQ with great dedication to ensure that Optimal, Natural Vision (ONV) can be reattained for everybody who has undergone refractive lens exchange, like e.g. a cataract procedure. ONV is the synonym for our ambition to help re-establish visual capabilities after the lens exchange procedure by getting as close as possible to the unimpaired natural vision. In this endeavour, nature itself serves as orientation standard and creative director. It is imperative for us that research and development must strictly be orientated at the natural functions of the human eye. Consequently, our maxim „Form follows Function“ has been derived from this principle. Products and solutions from 1stQ enable ophthalmologists to achieve any desired (and medically attainable) visual result after lens exchange. Based on our function-oriented products, our specialised tools for functional explanation, diagnostics and power calculation, plus the outstanding consultancy services of our medical-optics specialists, we are the ideal partner for refraction precision after refractive lens exchange. We are particularly proud that our medical devices are giving new impulses, worldwide. In close and trustful cooperation with innovative surgeons in hospitals, clinics and specialised eye-care centres, we are jointly working on new solutions to achieve one common goal: helping people after cataract surgery to reattain Optimal, Natural Vision. This is our motivation, ambition and challenge. As an independent manufacturer of medical devices, we are investing our know-how into meeting actual challenges we are faced with in the marketplace. The essential milestone on the pathway to Optimal, Natural Vision after refractive lens exchange is our goal to provide the capability to reliably predict and achieve the refractive result after the procedure. There are quite a number of things we are doing to this effect. 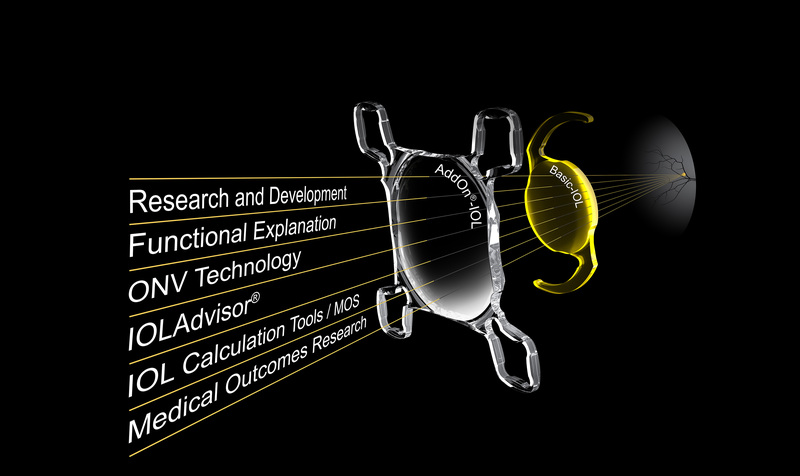 1stQ is a company dedicated to research in the area of eye surgery. For more than 20 years we have been cooperating closely with leading innovators in ophthalmic surgery and renowned scientific and industrial partners. 1stQ develops innovative products and specific solutions, which are practice-oriented, to the point and functional! We are focusing our attention to optimum patient care during the entire lens exchange process. Our goal is Optimal, Natural Vision (ONV) after lens exchange. The ONV Simulator enhances the functional patient explanation and demonstrates by simulation, at an early stage prior to surgery, how vision might be perceived after the lens exchange procedure under the effects of the differing visual functions. The patient may use the simulator online for himself/herself. This will make it easier to understand which visual functions are of prime personal importance. Another step towards refraction precision. IOL power calculations can be performed by anybody?! At 1stQ, medical-optics specialists evaluate the given diagnostic parameters and conduct a comprehensive validation of the entire range of measurement data. This generates reliability for both, ophthalmologist and patient and increases the accuracy in reaching the target refraction. IOL calculation is the key factor for achieving refraction precision! 1stQ is checking the functional safety of its implanted IOLs through periodic, practice-oriented studies. An independent institute collects the relevant data directly on the patient, right after surgery. The patient data are collected under both, subjective and objective aspects. Thereby, we achieve a maximum level of product safety. In addition, we obtain important information on our products and their effective use in the market. This kind of information proves very helpful in our effort to continually optimise our products. An essential step forward on the pathway towards refraction precision. Which combination of visual functions is producing my visual perception? Which visual functions do I inevitably lose as a result of the surgical procedure? which visual functions can be restored within the scope of the procedure? The functional explanation tool by 1stQ provides the patient with frank and fair information, establishes a relationship of confidence with the ophthalmologist and means the starting base for Optimal, Natural Vision, targeted after lens exchange. It is the first step towards refraction precision. Optimal, Natural Vision after lens exchange is achievable! Does this also apply for me? The IOLAdvisor® will give you the answer. Based on objective and subjective data synchronisation, the IOLAdvisor® renders individual recommendations to restore visual functions. These recommendations are the output results from an equally weighted input mix of diagnostic measurements, plus personal demands and wishes. The IOLAdvisor® provides an individual basis for the decision-making process during the consultation with the ophthalmologist. It is here, where the refraction precision is personalised. 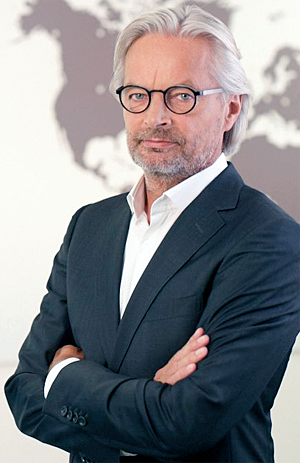 Ophthalmologists in Germany have only one contact person while cooperating with 1stQ. Internationally, there is a net of highly qualified and well-trained distributors ensuring premium support service for ophthalmic customers. Upon request, 1stQ medical-optics specialists conduct instruction courses, perform IOL calculations, assist in solving problems and may be addressed for providing help with commercial and administrative issues. MOS are the experts to implement the necessary measures for achieving refraction precision. Based on the 1stQ range of Basis and AddOn® IOL models, you will be able to cope with any refractive challenge for achieving refraction precision. Basis IOLs for the capsular bag cover the entire spectrum of visual functions for Optimal, Natural Vision. 1stQ ensures that every patient is getting the right type of lens required to achieve a personalised Optimal, Natural Vision. The ophthalmic surgeon can choose from a large variety of currently prevailing optics, lens designs and materials, whether preloaded or non-preloaded. The AddOn® may be implanted into the ciliary sulcus in addition to the primary capsular bag implant. The AddOn can either be implanted in a planned procedure together with the basis lens, e.g. to achieve independency of glasses, or at any time later after primary lens exchange in the capsular bag. The AddOn option is the appropriate IOL solution for any vision correction during a lens exchange procedure and also in the event that a fine-tuned correction becomes necessary, or appears desirable, after the primary lens exchange procedure. Consequently, the AddOn® proves to be the decisive surgical milestone for achieving refraction precision. Next to intraocular lenses, 1stQ is also developing and marketing all the other complementary products needed for a lens exchange procedure. The 1stQ specialists offer competent support for the ophthalmic surgery unit, before, during and after the procedure. Diagnostic software solutions accompany both, ophthalmologist and patient, on the way to Optimal, Natural Vision after lens exchange. 1stQ possesses patent rights on designs of lenses manufactured with highest precision in the micro-dimension range. In addition, 1stQ owns the rights on the Qfunctional System, which is absolutely unique, worldwide. IOLs based on this function-oriented system enable ophthalmologists to re-establish Optimal, Natural Vision after lens exchange surgery with any patient. With our Basis IOL, the visual functions necessary for Optimal, Natural Vision after lens exchange surgery may be restored, irrespective of material and design. The combination with a sulcus-fixated AddOn IOL would enhance the refractive spectrum, allowing a correction on eyes that have already undergone a lens exchange procedure.